I missed a week. It happens. I’m still here. 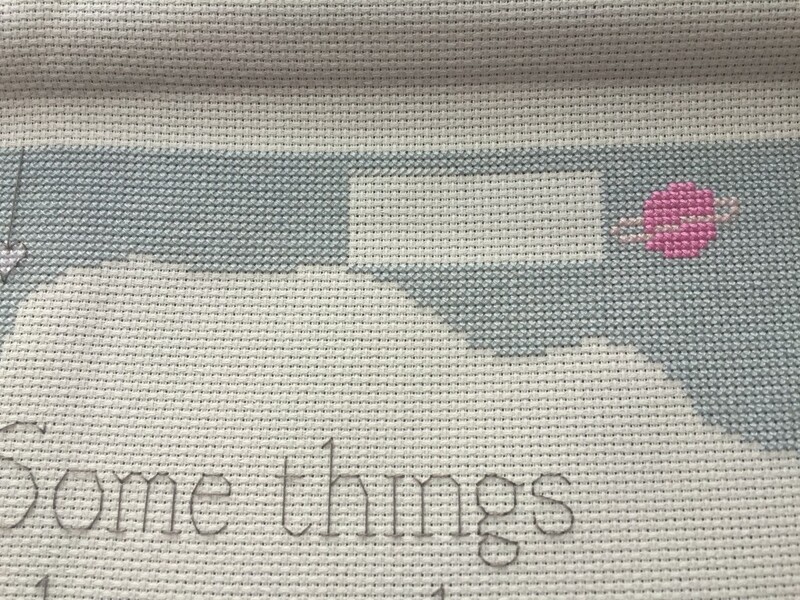 The cross stitch is still slowly coming together. I got ultra tired of the blue sky. You can tell because I even finished the text, something I swore I would leave to the very end. I just have a tiny smidgen of blue to finish. I’m sure I’ll buckle down and do it in the next few days. The big picture. With one glaring missing blue spot. I think I’m going to put star sequins over the lowercase i to dot them. 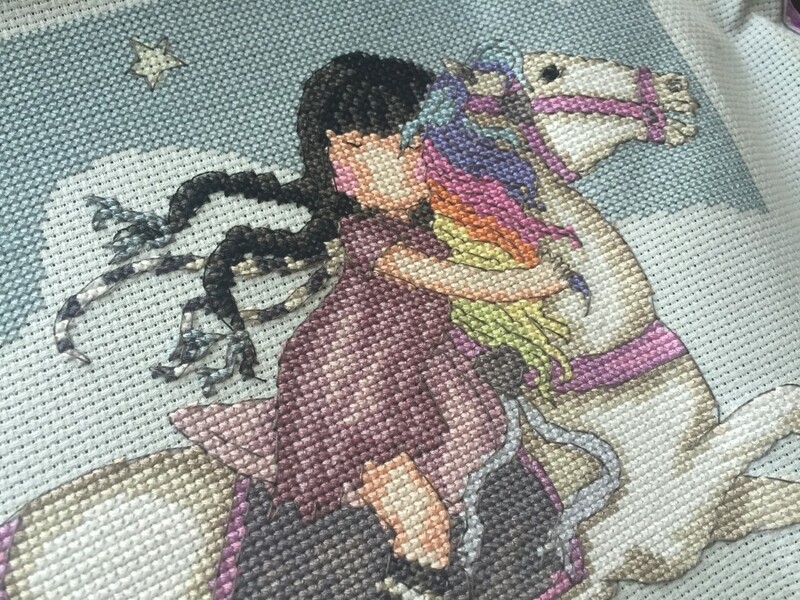 I also finished *all* of the backstitch on the horse. I’m a little worried about the text coming undone. No one tells you how to anchor backstitch with nothing to run your thread under I mostly left a long tail and let it get tangled up in the stitching and wound the end several times under the last letter. Hopefully that works. I’m trying to finish this before I leave for vacation July 8. 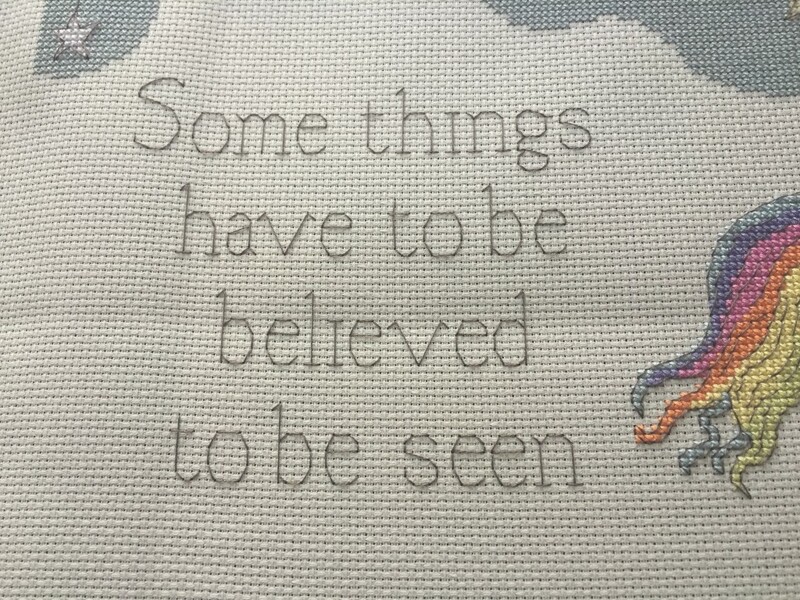 I don’t know if that’s feasible because the rainbow beneath will probably be quite a bit of work as well. I would like to finish it before August because I’d like to get it framed and hang it up for my birthday. Happy birthday to me. NO MORE BLUE. LOL. 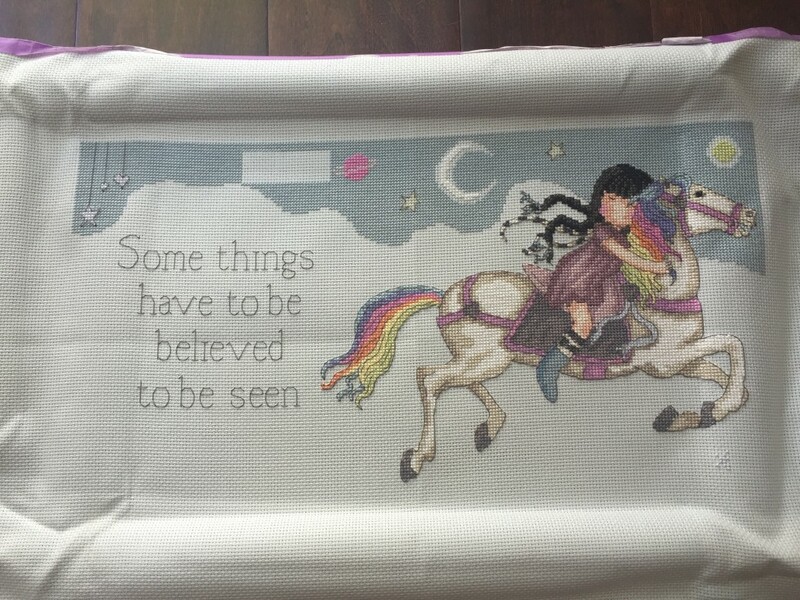 This entry was posted in Cross Stitch and tagged Bothy Threads, Gorjuss, Santoro by Jennifer. Bookmark the permalink.